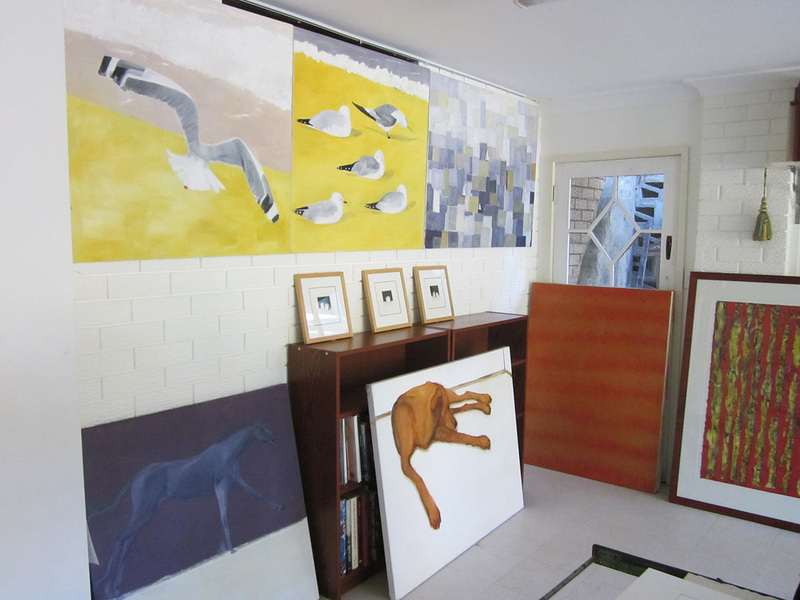 Etchings, linocuts, paintings and lithographs. For enquiries about any of the works or to buy a print or painting, please contact Helen by email. 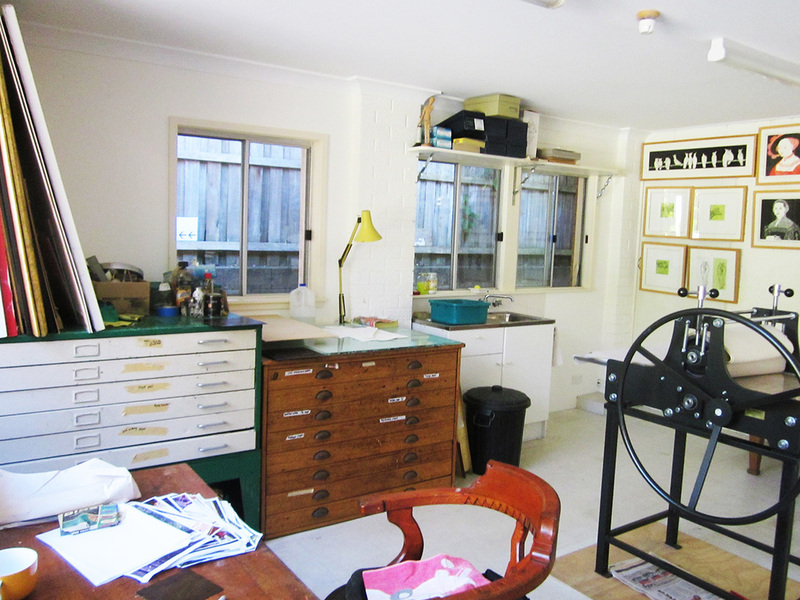 This is my studio in Avalon with my etching press.